Indian 3D Printing Network (I3DPn) is announcing a strategic media partnership with DailyCADCAM to drive a special Software focus at AMTech. 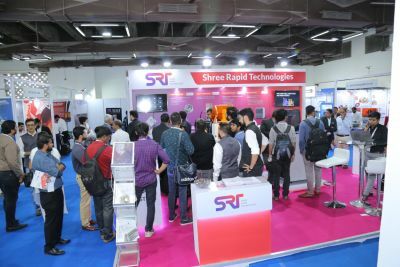 AMTech organised by I3DPn will be held at the Bombay Exhibition Centre at Mumbai from 11-12 December 2019 and is India’s only dedicated Additive Manufacturing Tradeshow. “AMTech aims to showcase the entire value chain of the Additive Manufacturing Technology ranging from Software to Pre-processing where industry stakeholders can see cutting-edge exhibits, learn from expert led conferences, network with the industry to make an informed choice on where AM fits into their product process” states Aditya Chandavarkar, Co-Founder, I3DPn. “When it comes to adopting 3D printing technologies, software (CAD, CAE, Others) is just as important consideration as hardware or materials. Metal powders and the machines that print them are very expensive. The philosophy of ‘Right First Time’ definitely comes into play in this regard. Use of Software in AM process helps in reducing failed builds.” adds Sachin Nalawade, Founder, DailyCADCAM.com. At AMTech, software will have a special focus which will include a dedicated pavilion for software companies to showcase their technology, seminars focusing on the software innovations and a DfAM competition, details of which we will unveil shortly. This entry was posted in AMTech Update and tagged 3D Printing, Additive Manufacturing, Additive Manufacturing Tradeshow, AMTech, DailyCADCAM, DfAM, I3DPn, Indian 3D Printing Network, media partnership, metal additive manufacturing, Topology Optimization.